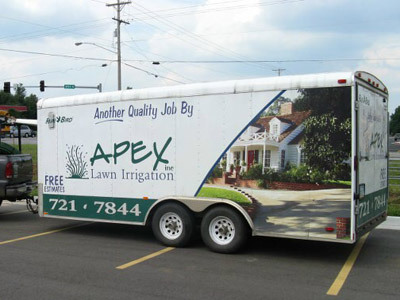 A sprinkler system from Apex can help you create the lawn of your dreams. We are a full service sprinkler installation and repair company. We do complete installations of irrigation systems, remodels, backflow testing and repairs. We are a select contractor of Rainbird products. We offer a Preferred Customer Program that offers a discount on labor and preferred scheduling during our two busiest times of spring and fall. Give us a call at 316.721.7844 for service.